Modenese automaker reveals its first "One of One" creation in Geneva. Most of us would count ourselves fortunate for the opportunity to own a vehicle as luxurious and powerful a the Maserati Levante. But for those looking for something even more special, the Trident marque has launched a new "One of One" customization program that aims to turn the automaker's high-end vehicles into rolling embodiments of personal taste. 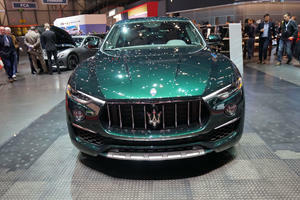 Maserati revealed the first such creation at the Geneva show this week - a custom Levante for winemaker Allegra Antonori. 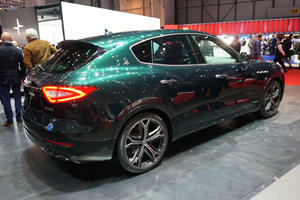 The Centro Stile Maserati worked up her luxury crossover in special tri-coat green paint with dark-chrome trim. 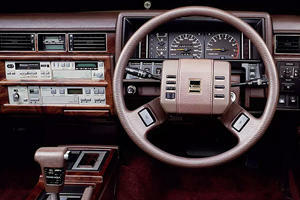 The interior of Antonori's Levante also features unique Pieno Fiore aniline oil-tanned leather with no surface finishing, crafted to improve with age, and ornamented with button-tufted embroidery. It's offset by carbon-fiber trim with copper wire woven in and a high-gloss finish, and underscored by mohair wool carpeting. The visual approach is said to have been inspired by the Antinori winery and surrounding Tuscan countryside. The program is similar to what other automakers already offer - like sister-company Ferrari's Tailor Madeframework and rival Porsche's Exclusive Manufaktur - and stands to broaden Maserati's appeal among its most discerning clientele. Alongside the vintner's unique creation, Maserati also showcased the Launch Edition of the Levante Trofeo in Geneva. It's limited to the first 100 units of the 582-horsepower, eight-cylinder performance crossover, and comes in one of three colors including Rosso Magma, Giallo Modenese, or matte Blu Emozione (shown). The special edition also gets painted brake calipers behind 22-inch alloys, and a full-grain leather interior with a choice of top-stitch colors. 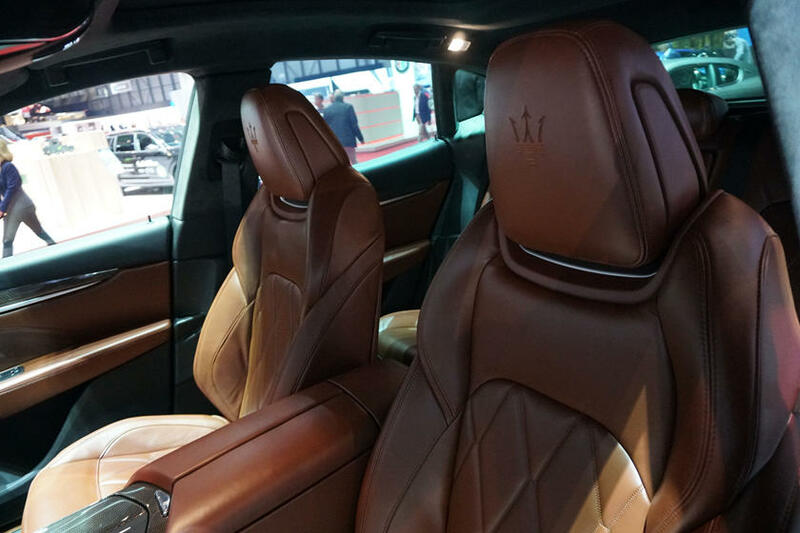 The Italian automaker also revealed a new woven leather upholstery option called Pelletessuta, developed by partnering clothier Ermenegildo Zegna, and displayed on yet another Levante and on a Quattroporte sedan. 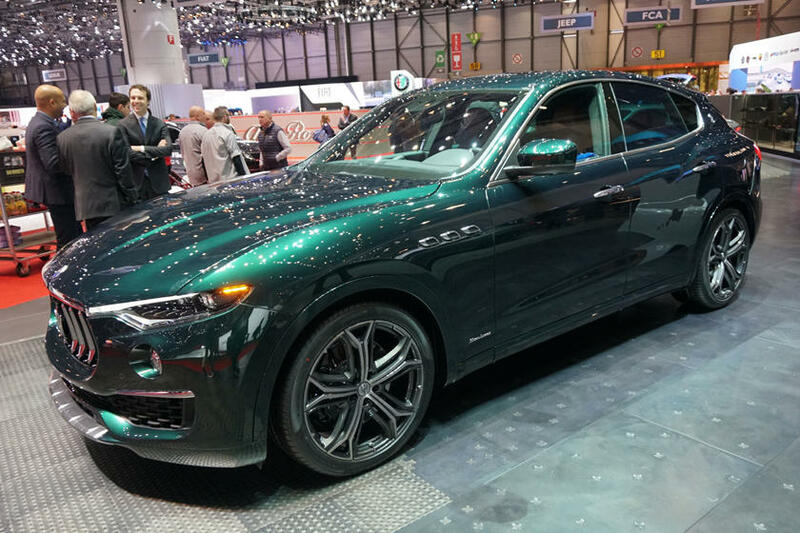 the Levante Trofeo SUV in the Launch Edition, a limited edition of 100 units, which will be the protagonist of the stand, along with the other models of the MY19 range. 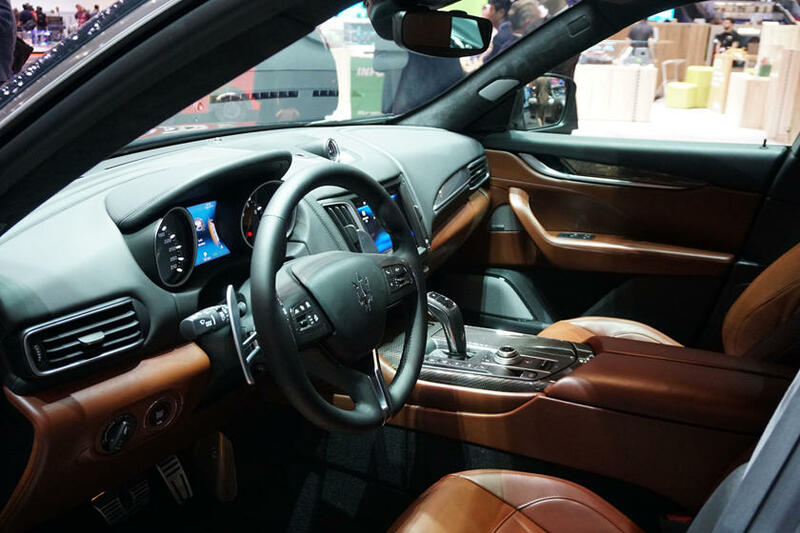 Another premiere of the Geneva Show are two new interiors in PELLETESSUTA™, an exclusive new material made by Ermenegildo Zegna exclusively for Maserati. To recall the Brand's sporty DNA, Maserati will exhibit a GranTurismo MC (acronym for Maserati Corse), for the first time with an exterior in Grigio Lava Matte colour combined with interiors in carbon fibre. Maserati announced start of sales in Europe of the Levante Trofeo and Levante GTS. Another new development will be revealed at the opening of the show, one that exemplifies Maserati's ability to construct customized automobiles: an exciting ONE OF ONE model, created according to the requests of a particular customer. To launch the new model in the market, Maserati is presenting the Levante Trofeo Launch Edition, a limited edition of 100 units. The Levante Trofeo Launch Edition will be available not only in the Blu Emozione Matte colour presented at the Geneva International Motor Show but also in the unique paints Giallo Modenese and Rosso Magma. The interior features sports seats with a premium full-grain "Pieno Fiore" natural leather, with contrasting stitching and a "Trofeo" logo embroidered on the headrest, available in blue, red or yellow. The exclusive carbon fibre inserts on the bumpers, side skirts and specially designed bonnet stand out. The 22" Orione rims can be matte or glossy black finish, while the brake calipers are available in silver, blue, yellow or red. The Levante Trofeo is equipped with one of the most powerful engines ever fitted in a Maserati road car. This is the 3.8 litre Twin Turbo V8, calibrated to mate perfectly with the Q4 Intelligent All-Wheel Drive system, providing it with a new crankcase design, specific crankshaft assembly, new oil pump and auxiliary belt and a different wiring layout. Like all Maserati petrol engines, this V8 is assembled by Ferrari in Maranello. In terms of 0-100km/h acceleration, it stops the chronometer at 4.1", while the maximum speed is close to the 300 km/h threshold. The Levante Trofeo is fitted with the eight-speed ZF automatic gearbox used on all the Levante versions, acclaimed for its versatility and sporty character. The "Corsa" driving mode with Launch Control functionality (in addition to the existing Normal, I.C.E., Sport and Off Road modes) has been adopted to enhance the sporty character of the ultimate Maserati SUV. "Corsa" driving mode further improves engine response and opens exhaust valves in acceleration, as well as providing faster gear shifting, lower air suspension height levels, sportier Skyhook damping and optimized Q4 Intelligent All-Wheel Drive settings. It also interacts with the Traction Control and ESP systems to maximize driving pleasure. The Levante features the Integrated Vehicle Control (IVC) system for impressive driving dynamics, better performance, and a genuine Maserati driving experience, by helping to prevent vehicle instability, instead of correcting "driver mistakes" as a traditional Electronic Stability Program (ESP) system does. The ideal 50:50 weight balance and the low centre of gravity - common to all Levante models, in combination with the finely tuned double-wishbone front / Multi Link rear suspension, as well as the wider 22-inch rear tyres on forged aluminium alloy wheels, provide the new Trofeo with perfectly balanced handling and lateral stability. The unmistakable Levante design has reached new levels of sportiness in this model like the lower splitter, the side blades in the front air intakes, the side skirt inserts and the rear extractor, made of ultralight high-gloss carbon fibre. At the front, the Levante Trofeo has Full Matrix LED adaptive headlights, a front grille with double vertical bars in Black Piano finish, lower honeycomb mesh fascia, body colour door handles and high-performance brake calipers available in red, blue, black, silver or yellow. 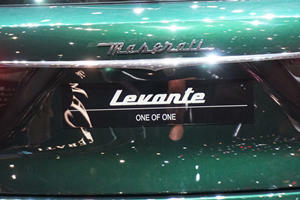 And to cap it off, the "Saetta" Trofeo logo adorns the iconic C-pillar of the coupé styled Levante. Inside the Levante Trofeo cabin is a wealth of elegant features which create an environment of pure luxury. "Pieno Fiore" is like no other leather used in the automotive industry for its natural, soft feel and for the unique character it develops throughout the years. This amazing Levante's quintessentially sporty personality is highlighted by new details in "3D Touch" matt carbon fibre, the specific instrument cluster graphics, floor mats with metal Trofeo badges, and a Maserati clock with a unique dial. The on-board set up is completed by a 1,280-watt, 17-speaker Bowers & Wilkins premium surround sound audio system for a concert hall sound experience. The Levante Trofeo is the first ever Maserati equipped with 22-inch forged aluminium wheels, so Maserati cooperated with Continental to provide the new SportContact™ 6 tyre as standard equipment. The new ultra-sport tyre has substantially contributed to achieving the excellent and balanced handling and outstanding cornering performance of the most powerful Maserati in production today. The special things about the Maserati stand at this 89th edition of the Geneva International Motor Show is the way it focuses on highlighting a distinctive Italianness and the process of craftsmanship and customization, considerations that have prompted Maserati to host on their stand - together with Ermenegildo Zegna, a longstanding partner and a leader in the field of men's luxury clothing, two other leading artisanal firms in their field: Giorgetti, the internationally renowned Italian woodworking company, known for its furniture and unique design pieces, and De Castelli, a leading metalworking firm, specializing in the production of unique home design accessories, custom surfaces and projects. At Maserati tradition becomes innovation, combining fine craftsmanship, advanced technology and sophisticated design for the sort of exclusive, unique mix only Maserati knows how to apply to its cars. The stand provides an instructive tour through three different dedicated thematic areas. Each area will feature a display of tools, materials and components that, specially crafted by Zegna, De Castelli and Giorgetti, bear witness to the unending quest for excellence, style and originality, typical of products designed and Made in Italy, and therefore typical of Maserati. Speaking of innovation and design, when it comes to customizing the stand, for the first time ever Maserati is taking advantage in the Customization Area of a D-Table, the only interactive table which combines the latest-generation software and elegant, sophisticated design. Zegna is a longstanding partner of Maserati and for the Geneva show will be presenting the world premiere of its new car interiors in PELLETESSUTA™, a special woven nappa leather, the product of pioneering research by Ermenegildo Zegna, seeking to create a luxurious, innovative, lightweight and soft fabric that is versatile and well suited for the creation of products, ranging from home design complements to multimedia accessories. 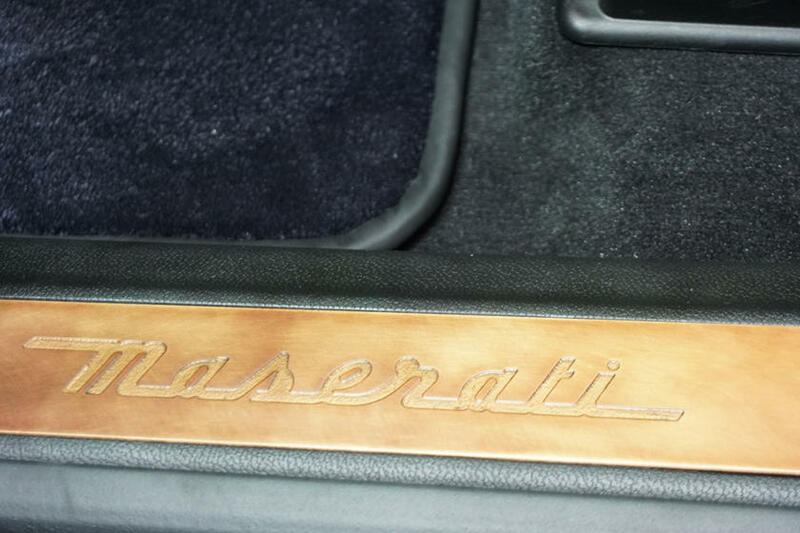 The bond between Zegna and Maserati grows stronger with each passing year, in no small part due to the historical similarities of the two brands. The Ermenegildo Zegna Group is one of the most distinguished businesses in all of Italy. Founded back in 1910 in Trivero, in the Biellese Alps, by a young entrepreneur named Ermenegildo, whose vision was to ethically produce the most sumptuous fabrics in the world by means of innovation and the utilization of the best luxury fibres, sourced directly in their countries of origin, the company is currently guided by the fourth generation of the Zegna family. The Group, which since the late 80's has been implementing a strategy of vertical integration, has created a global luxury brand which currently offers fabrics, clothing and accessories. Today there are 504 single-label stores in over 100 countries, of which 272 are company-owned. The Giorgetti cabinet-making tradition started in Brianza in 1898, and more than 120 years later is still continuing to evolve and innovate. The company looks to the future, how to convey and stay on top of all the changes in a dynamically transforming world. Giorgetti's approach to interior design involves interpreting behaviours and tastes in various different markets, creating pieces that are free of all formal conventions, capable of coexisting harmoniously in any context, dissolving cultural and temporal distances. The products made by Giorgetti epitomize the best in the proud catchline, "Made and Manufactured in Italy". Starting from design, creativity and style, and all the way to the actual manufacture of a finished product, the entire manufacturing process is completely carried out in Italy by highly qualified personnel, boasting consummate skill in the furniture sector. The craft-based means of production associated with the phrase, Made in Italy, transcends the rationale of standardized, mass-produced products, guaranteeing high levels of product customization. The indispensable work of master craftsmen is capable of imbuing Giorgetti projects with that magical allure of unique, handmade pieces. True to its commitment to restore metal's privileged role in projectual experimentation, De Castelli is grafting a craft-based concept and approach to work onto typically industrial processes, a bold synthesis that leads to unprecedented results. The encounter with design engenders an approach to the material founded on respect for its vast potential, including the less obvious possibilities, the ones that gradually emerge in a collection of mass-produced products that are, at the same time, unique. Not only because the hand creating them is unique, but due to the uniqueness of the cultural process that puts the main emphasis on the aesthetic value - rather than purely functional ones - of the primal material with which De Castelli shapes living spaces. One thus overturns the dictum that confines the coldness of metal to the outer margins of interior design project, bringing steel, brass and copper, in their multiple variations and finishes, to the centre of a a completely renovated scenario where they can finally glow in self-generated radiance. Delabré is the name of an artisanal finish conceived of and realized by De Castelli. It consists in the manual oxidation of materials like steel, copper and brass, capable of imbuing them with unique, unrepeatable chromatic effects. Visitors to the Geneva International Motor Show will find on display the GranTurismo MC (acronym for Maserati Corse) which perfectly represents the sporty DNA of the Modena company. The GranTurismo MC boasts an exclusive new configuration, for the first time ever with the Grigio Lava Matte as the exterior colour and "Nerissimo Carbon Pack" trim with the Black Chrome contrasting finishes for the various details: the upper portion of the grille with black vertical slats and the Trident in the middle, the profiles of the boot, the lettering on the tailgate, the logo on the pillars and the side air intakes. Also featuring an exclusive black finish are the door handles, the exhaust outlets and the window frames. Carbon fibre customization packs will be available for the interiors. The stand also features various different Maserati models, including a Levante S Q4 GranSport in an exclusive trim with the exterior in a Bronze colour, which boasts interiors in Zegna PELLETESSUTA™. The car sports 21" polished Helios rims. For the first time in the history of this longstanding partnership with Zegna, the customization has been extended to also include the GranSport trims of the Maserati range. An especially sophisticated combination for this Levante, the first SUV in the more than one-hundred year history of Maserati. On display, the Maserati Quattroporte S Q4 GranLusso with its Blu Sofisticato coloured body combined with interiors in PELLETESSUTA™ Zegna, an extremely elegant configuration to once again underscore the exclusive, luxurious character of this Italian manufacturer flagship, whose origins date back to Series I designed in 1963 to be the fastest sedan in the world. 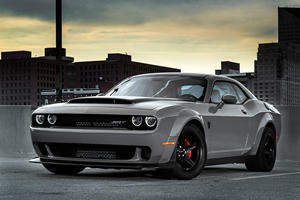 The 21" Atlante alloy rims with blue brake calipers and the sport seats underscore the dual nature of this model. Two Maserati Ghibli S Q4 (GranSport and GranLusso trims), 430 hp, can be viewed on the stand. The GranSport trim is equipped with metallic Grigio Maratea paint on the outside and Nerissimo pack with a red interior in full-grain "Pieno Fiore" leather and black stitching, plus roof lining in black Alcantara. The rims are 21" in Glossy Black Titanium, which imbue the Maserati sedan, boasting Q4 Intelligent All-Wheel Drive system, with a unique, unmistakable character. The elegance of the GranLusso trim is highlighted by the tri-coat exterior Bianco Alpi paint and by the 20" Teseo rims; on the inside the full-grain "Pieno Fiore" black leather has been combined with Oak trim and roof lining in grey Alcantara. The entire MY19 range, composed of Ghibli, Quattroporte and Levante models, has benefited from a luxurious restyling which combined targeted interventions in terms of both style and new contents. Both the sedans and the SUV with MY19 specifications are equipped with a redesigned shorter-travel gearshift lever featuring a more intuitive shift pattern and improved operation. The Maserati Levante Trofeo for the European market is capable of delivering 580 hp at 6,250 rpm, achieving extremely high peak rotation, maintaining the same torque of 730 Nm, usable in a wide range between 2,500 and 5,000 rpm. The Levante Trofeo therefore displays the characteristic of immediately providing high levels of torque even at low revs, a feature that is appreciated by the customers of this type of SUV. Thanks to new turbochargers with increased flow, a redesigned cylinder head with specific camshafts and valves, new pistons and new connecting rods, the Levante Trofeo is able to achieve impressive power peaks, in combination with specific engine calibration mapping. The new Levante Trofeo features Full Matrix LED adaptive headlights as standard. Compared to Bi-Xenon headlamps, LED technology offers 20% better visibility, 32% cooler light and headlights that last twice as long. The full LED headlights utilize a digital camera mounted behind the rear-view mirror that supports the Glare-free High Beam detection system, allowing the driver to keep the high beam on without dazzling oncoming drivers. The system is able to create a "zone of shade" around other vehicles switching dynamically on and off the LED matrixes. The full Matrix LED headlights can create up to four light tunnels simultaneously with each tunnel as large as the obstacle. The Brembo braking system deals superbly with the high performance of the Levante Trofeo. The front brakes have adopted 6-piston aluminium monobloc calipers working on 380 mm x 34 mm drilled discs, while 4-piston aluminium monobloc calipers with 330 mm x 28 mm ventilated drilled discs are fitted at the rear. The ABS has undergone a specific setup for the Trofeo version. Levante, Ghibli and Quattroporte share the same MTC+ infotainment system, which is based on a high resolution 8.4" multi-touch screen and a double rotary knob on the centre console. 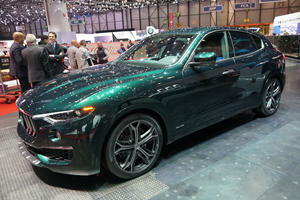 For MY19 there is a choice of nine body colours for the Quattroporte and 10 for each of the Ghibli and Levante models. A new tri-coat colour is now available, born to enhance the design of each: the elegant Blu Nobile. Maserati's prestige partnership with Bulgari, launched in 2012, has led to the creation of two exclusive wristwatches: Octo Maserati GranLusso and Octo Maserati GranSport by Bulgari Specifically intended for owners of the Brand's cars, they feature the spectacular dial (with retrograde minutes and jumping hours) resembling the rpm-counter of a Maserati, while the stitched leather strap recalls the upholstery of Trident cars. 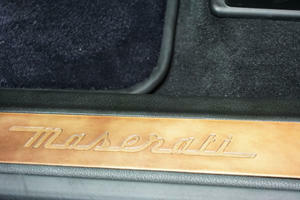 Speaking of the historic Modena plant, recently Maserati announced that it reconfirms its strategic mission. The plant will be dedicated to the manufacturing of special high performance, high technology sports cars, in line with the tradition and values of the Brand, which has been present at Modena since 1939. This will exploit the know-how and experience of the staff involved in the production of the cars, which require a very special fabrication cycle: a fully-fledged synergy of craftsmanship and innovation, scrupulous attention to detail and the highest quality standards, resulting in the manufacture of unique, exclusive products which represent the very best of the "Made in Italy" brand worldwide. The current production lines will be upgraded, indeed, totally renewed, starting this Autumn: the first pre-series production of a new model, a characteristically Maserati sports car, will roll off the lines in the first half of next year.